Our Card Displays hold vertical or horizontal postcards or similar media and are designed for busy floors, walls, slatwalls, or countertops. 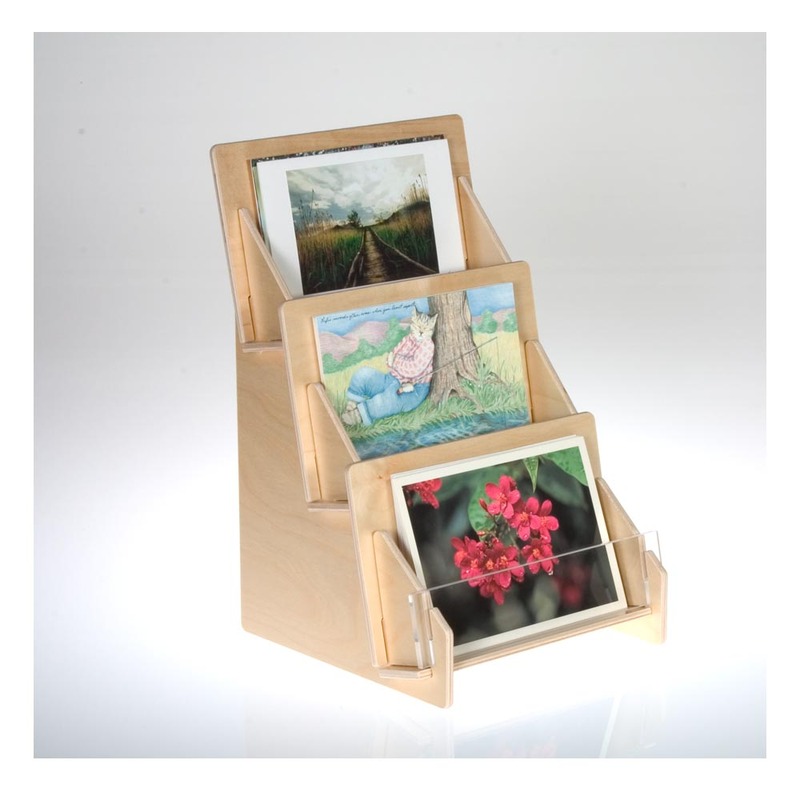 If you're a store owner, set your postcards on or near the main counter to peak the interest of customers waiting to check out, or use these displays as great organizing tools to clarify and beautify your space. We make these in the US out of quality polished acrylic or green Baltic Birch Plywood, and most are in stock for immediate shipping.